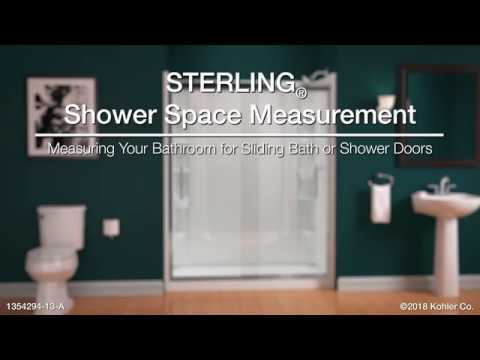 From the most popular series by Sterling, the Finesse™ Frameless Sliding Shower Door offers long-lasting, durable construction with modern, minimalist appeal and functional performance. CleanCoat® technology creates a barrier between the water and glass to help keep your shower door looking new. Standard on all frameless doors.